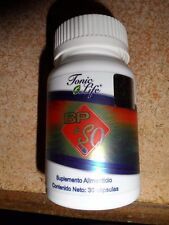 TONIC LIFE SIZE 0 Capsules "Lower Price" "Amazing"
Tonic Life Fusion BP/S0 (Combined BP and Size 0) "LOWER PRICE"
JABIL (TONIC LIFE) manchas en la piel, paño, cicatrices, barros y espinillas. BP Gel (TONIC LIFE) Ayuda con Celulitis Reafirmar la Piel, Reduce tallas. BP Figure Gel (TONIC LIFE) Burn Fat, Reduce sizes, Reform tissues. JABIL (TONIC LIFE) facial skin flaws, spots on skin, scars, blackheads, acne. Nopi Aloe (Tonic Life) help against gastritis. constipation, colitis.